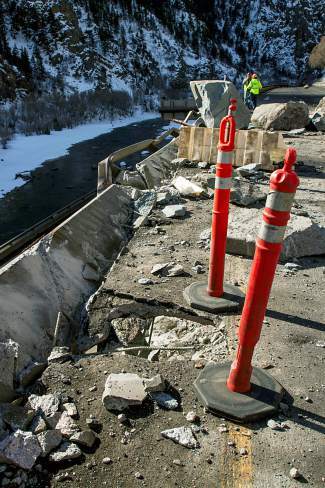 The federal government will kick in $1 million to help cover the estimated $2 million-$5 million cost to repair damage on Interstate 70 in Glenwood Canyon caused by the Feb. 15 rockslide that closed the interstate for nearly a week. 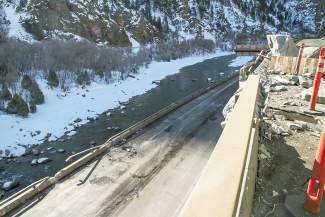 Interstate 70 through Glenwood Canyon will have lane restrictions this summer as crews work to reduce the risk of further rockfall at the site of February's recod-long slide. A 2-foot wide hole was left in the deck of Interstate 70's westbound lanes where a rock hit the road, bounced off of the eastbound lanes and landed in the river. A boulder took this chunk out of I-70 in the Glenwood Canyon. 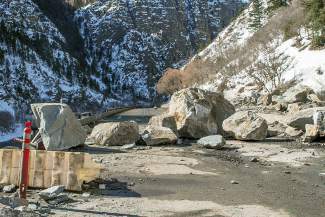 GLENWOOD SPRINGS — Crews worked Wednesday to knock loose boulders off the cliff above Interstate 70 in Glenwood Canyon in an effort to lessen the risk of further rockfall after a massive slide closed the interstate Monday night. 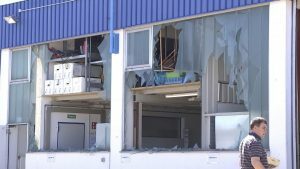 Only after officials determine that it’s safe will the highway be partially reopened, but the plan remains to try to make that happen by Thursday afternoon, said Amy Ford, director of communication for the Colorado Department of Transportation. The reopening, which would be of just one lane so a pilot car could lead traffic through, depends on the progress of those efforts, not to mention the weather, Ford said during a telephone conference Wednesday afternoon. I-70 through the canyon remained closed for a second full day Wednesday after a massive huge slide involving more than a dozen car-sized boulders came crashing down onto the roadway around 9 p.m. Monday. It was the second slide of the day, after a smaller one closed the interstate for about two hours before dawn. 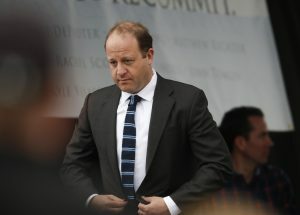 CDOT officials expect to have a better idea by noon Thursday whether it will be realistic to open one of the eastbound lanes and deploy a pilot car to alternate between leading east and westbound traffic through the slide zone while repairs are done to the severely damaged westbound lanes, Ford said. Rain is forecast for Thursday afternoon and evening, which could complicate matters, she forewarned. Rock scaling operations throughout the day Wednesday involved about a half dozen workers suspended from high up on the cliffs, dislodging loose boulders and pushing them to a containment area below. No vehicles were involved in the first slide Monday, but two semis and at least one passenger car were passing through headed west when the second slide occurred. One of the semi trailers was severely damaged, but driver Ray Hatch of Las Vegas was uninjured. A northerly detour via U.S. 40 and state Highways 13 out of Rifle and 131 at Wolcott to access Garfield County and the Roaring Fork Valley remains in effect. The detour route adds 146 miles and a couple of hours travel time between Wolcott and Rifle. I-70 remains open to local traffic only between Wolcott and Dotsero, and on the west side of the canyon between Rifle and Glenwood Springs. Motorists passing east through Colorado are advised to take U.S. 550 south from Grand Junction and U.S. 50 at Montrose to Gunnison over Monarch Pass, then north to U.S. 285, and vice versa from Denver. For through traffic, either route takes about the same amount of time, Ford said. 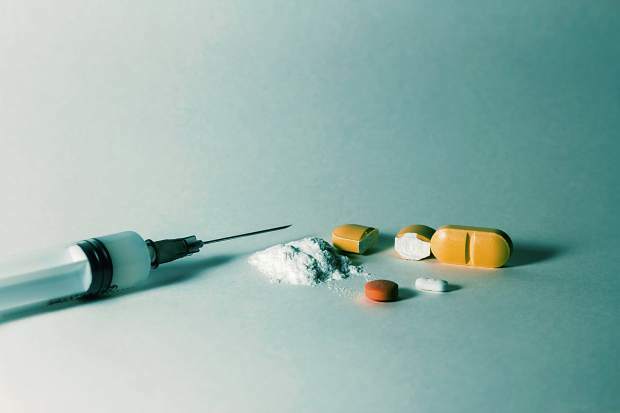 She emphasized that motorists should ignore GPS directions and information gleaned from the Internet, or by word of mouth, suggesting alternative routes via any of the area mountain passes that are closed for the winter. 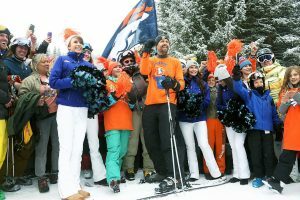 Pitkin County officials reported numerous motorists and even semis being stranded in Aspen en route to Independence Pass, which is closed this time of year until at least late May. Same with Cottonwood Pass between Garfield and Eagle counties, and the Forest Service road between Eagle and the upper Frying Pan valley. Once a single lane of I-70 reopens, traffic will be directed in alternating fashion using a pilot car for about 6 miles between the Grizzly Creek rest area and the east side of the Hanging Lake Tunnels before being allowed to merge back into the regular lanes. “We anticipate that people will experience hour-plus delays, and those, too, will be dependent on the weather,” Ford said, adding the pilot car will likely be in use for several days as work continues to clear and repair the road, which is severely damaged. 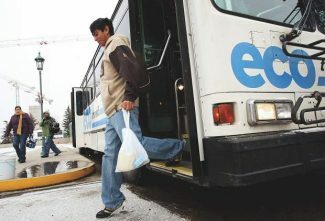 During the closure, CDOT’s Bustang has been terminating in Eagle and not picking up or dropping off passengers in Glenwood Springs. That could change once the pilot cars are running, although schedules may need to be adjusted to account for delays, CDOT communications manager Bob Wilson said. Greyhound bus lines are currently taking the northern detour, Ford said. Amtrak’s California Zephyr passenger line and freight trains are still running through the canyon, as the railroad tracks were not affected by the rockfall, Union Pacific Railroad spokeswoman Calli Hite said. 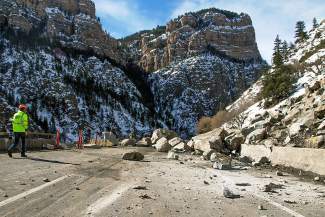 CDOT engineers are also still working to determine the extent of the damage from the rockslide and the cost to repair it, she said. The slide happened in an area “just outside” where extensive rockfall mitigation was done last fall, along with nearly $10 million worth of repairs to bridge joints, decks and the asphalt road surface, as well as new guardrails. 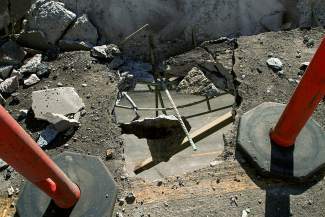 Some of that work will need to be repaired, CDOT officials said.